This collection of essential oils are specifically designed to aid in assisting sluggish circulation, raising metabolism and helping to get you moving! Oxygenating Eucalyptus, circulatory stimulant Peppermint, detoxifying Juniper and revitalising Lemongrass are carefully blended into this essential oil mix. Also delightful used in an essential oil burner or diffuser. This collection of essential oils are so named because that’s exactly what they are—yum yum! This light citrusy blend helps to create a happy atmosphere. Best used in an essential oil burner or diffuser it is also excellent to use in a spray bottle. Simply add 10—20 drops to a spray bottle, shake well and spray. Use as a room spray or refrigerate in summer to create a refreshing face spritz. Sitting in front of a computer or spending long hours reading research and other study materials can be tiring. This blend is designed to aid brain circulation and keep your mind humming along. This collection of essential oils are specifically designed to assist respiratory function, especially during colds, ‘flu, asthma and other acute episodes. This blend is designed to relax airways, relieve congestion and aid lung function. Using oils with anti-bacterial, anti-infectious, soothing and decongesting properties, it’s an essential part of your winter apothercary. Although we still do not fully understand why our need for sleep is so important many of us are fully aware of the effects of sleep deprivation. Join Elise Scully, Kinesiologist and Aromatherapist as we investigate the causes of disturbed sleep and poor sleeping patterns and what we can do about it. This collection of essential oils are specifically designed to assist in providing good quality sleep. With a base of nurturing lavender, these oils also create an association within the mind of relaxing sleep so their efficacy actually increases as you use it! Join Elise Scully, Kinesiologist and Aromatherapist as we investigate the causes of colds and ’flu, discuss how to treat symptoms and how to boost your immune system to improve resilience. 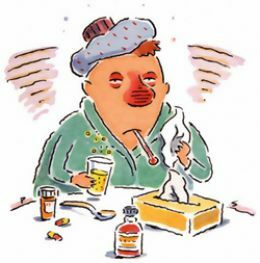 Plagued by colds during winter? To remove makeup and grime. A luscious cream, high in vitamin rich essential fatty acid oils.